Artisan bread has been growing in popularity over the last decade and today a good loaf is more than just bread and butter. 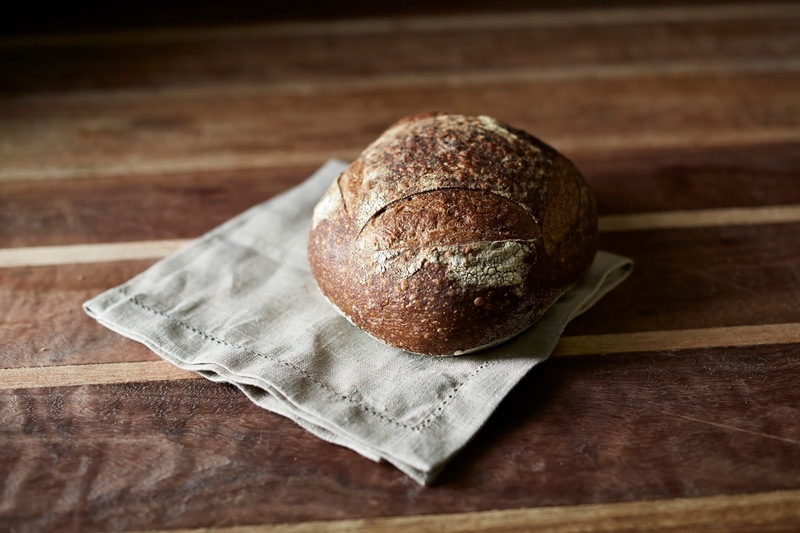 It’s not unusual to queue at Sydney’s top bakeries for a Saturday morning sourdough and ingredients are as diverse as spelt flour, rye flour, quinoa, herbs and even potato. Ask any artisan producer, chef or passionate home cook what’s important and many cite quality ingredients. It's no surprise that this also applies to baking. However, what is a surprise to most is that the flour used by many top bakeries on the eastern seaboard is milled right here in the New England North West region - Gunnedah’s Wholegrain Milling Company produces quality stoneground organic flours for wholesalers and artisan bakers including Sydney’s Sonoma and Melbourne's Dench. They also produce smaller packaged products for retail customers under their Demeter Farm Mill label. Wendy and Harry Neale started the company in 1984 and the business is now managed by their son, Craig. With over fifty silos, seven stone mills and a state-of-the-art roller mill, it’s clear that quality organic grain is big business. Wheat, spelt, oats, rye, buckwheat and more is all processed on site. For Wendy, however, organics was initially about health. After suffering from food allergies, Wendy looked for remedies beyond standard medicine and began making her own stoneground flour. “I was milling organic grain in our kitchen and I decided there would be others that could benefit,” she said. Nowadays, a diet free from artificial chemicals, colourings and flavourings is not unusual, however Craig believes Wendy was well ahead of her time. “When the business started, organics was interpreted as having flowers on the side of your combi van,” laughs Craig. “Organics were not readily accepted. We started with one customer on the first day and grew to seven in the first ten years.” Since then there’s been a surge in demand and the company is experiencing exceptional growth. For Craig, the business is not just about organics, but also about the unique flours they produce. A shearer by trade, Craig built the specialised stone mills with Harry, using imported European millstones. He lifts a handful of flour to demonstrate the speckled colour, a signature of wholegrain milling. The result is a nutty taste and texture that is revered by artisan bakers. More commercial roller mills will separate the bran and germ from the endosperm. The endosperm is then ground to create white flour and other components are added back in as needed. Stone milling is clearly the company’s passion; however, 18 months ago, after years of planning, Craig added the roller mill to the business, in order to service a broader range of customers. “Stoneground flour is for those who are passionate about what they’re doing and the ingredients they’re using. However, there’s also a growing market of people who are aware of chemicals and the associated health effects and they buy organics simply to minimise those effects,” Craig explains. To maintain their organic certification Wholegrain Milling Company purchases only certified organic grain, sourced from all over the eastern states, and they must ensure no chemical contamination occurs throughout milling and delivery. Weevils and rodents can be a problem and, unlike conventional counterparts, organic mills cannot chemically treat the grain to prevent infestation. Instead, the temperature in silos is strictly regulated, grain is moved using sophisticated pneumatic conveying, packaged flour is kept below six degrees at all times and the company manages its own logistics to ensure products are safely delivered. Ironically, it’s an incredibly complex process to replicate something humans have been doing since 6000 BC – crushing whole grains to produce flour that’s chemical-free. It’s nice to know technology has come full circle. Organic stoneground flour is available to the retail customer under Wholegrain Milling Company’s Demeter Farm Mill label. Stockists include: Monks Health Emporium, Armidale; Northern Nuts and Treats, Tamworth; Le Pruneau, Tamworth; From the Soil Up, Inverell; Northeys Nature’s Best, Gunnedah. Contact Wholegrain Milling Company for more.